The single engine aircraft left Tulsa on a post maintenance control flight with one pilot and one mechanic on board. 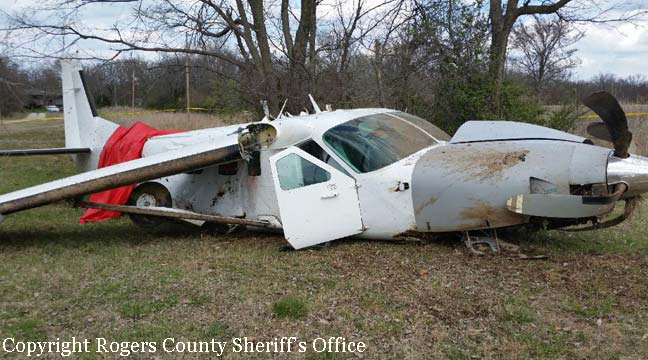 En route, the pilot informed ATC about engine problems and attempted to divert to the Claremore-Rogers County Airport. 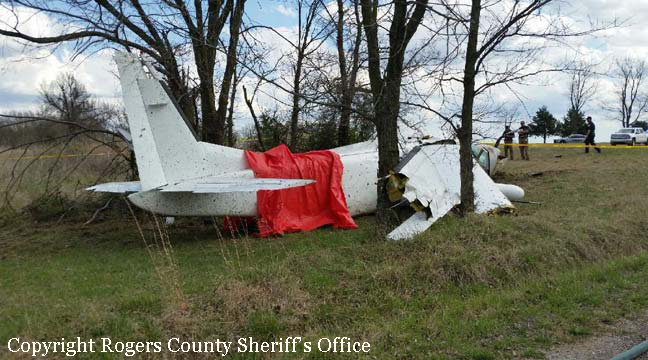 The aircraft eventually hit tree tops and crashed in a small wooded area east of Verdigris. Both occupants were slightly injured while the aircraft was written off.